"Flutterby" the Lady Bug Clown, happy dancing! 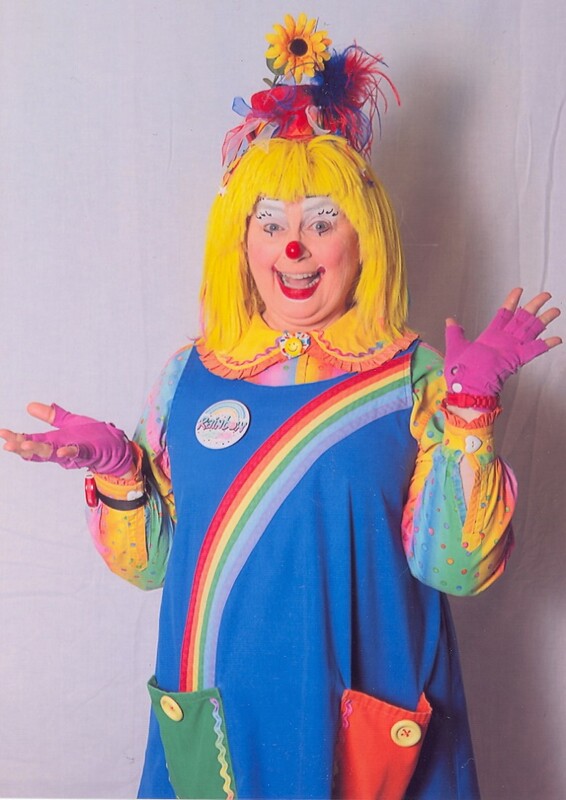 We are professional clowns and can't wait to serve you with our wholesome and fun entertainment at your next child's birthday party, company picnic, business grand opening, community, church & school events. We have been trained by professional clowns from all over the world. Our years of experience will show through as we play and have fun with your guests. 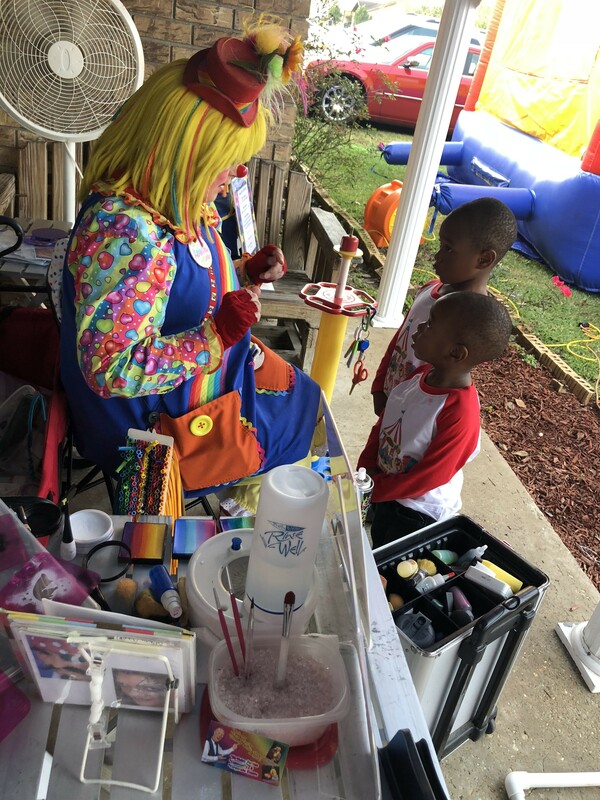 Services include: Clowning (multiple clown characters to choose from; subject to availability), Balloon Twisting, Face Painting, Comedy Magic Shows, Pocket Tricks (walkarounds), Singing Telegrams, Story Telling, Games & more. Put in a Request for a Free Quote, today! She was awesome and was a pleasure to have around for the children. I’d definitely hire her again!!! Thank you so much for allowing me to help celebrate Caiden & Cayse's birthday celebration. It was my pleasure. Great show. Kids and Adults loved the magic. Perfect for our Christmas Party. Happy Holidays. Sweet lady,fun for the kids! Belle came to our company Christmas party to do balloon animals and facepainting. She was dressed in a cute Christmas elf type costume that the kids and adults just loved! She had Christmas themed face paint and balloon options which was festive and unique! It kept the kids entertained while the adults ordered food and played trivia games for prizes. The facepaint and balloons were beautiful! It's so good to know, in writing, that "Rainbow" tickled the funny bone of the 40-year-old birthday boy and all his co-workers in the office. That's why I do Singing Telegrams - it's so much fun bringing joy & laughter to someone and those around he or she while celebrating their life! Thanks again for allowing me to be apart of that birthday moment!!! She painted the faces great, but it took a long time for each kid and the party was intended for 10-12 kids. She painted maybe 6 faces and we were rushed for time to do the balloons because of this. 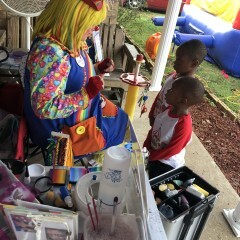 There was little interaction with the kids, basically sat there and painted faces the whole time and didn't speak much. I was taking my time face painting because there weren't that many kids and none of the kids asked for balloons till after they were all face painted. And I did both face painting & balloons all within your time frame of 1 1/2 hrs (it might have been a little longer than that due to replacing a balloon for a child whose balloon broke outside, repairing a face paint design for a child who had smeared her design, face painting an adult and twisting a balloon for an adult). I was talking to the kids. But all the adults were busy talking, as well. So, you probably didn't catch the conversations I was having with them. I even stopped packing up to take a picture with the kids, at your request. I'm so sorry that I didn't meet your expectations. But you could have spoke to me about your timing situation while I was there and I would have sped it up. Everyone seemed happy with me while I was there. Party magician was very entertaining and sincere. Children laughed and enjoyed a lot . Doesn’t seem that she enjoy what she was doing, she was very quiet, she wasn’t funny, her jokes or tricks were awkward as well as presentation. Would not hire again. I enjoyed very much what I was doing. 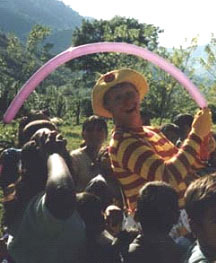 I am a Clown who performs Comedy Magic Shows for CHILDREN, not adults. The children acted like they had a great time (target audience of 3yrs old to 4yrs old; your child being 3). My presentation was appropiate for this age group (loose and allowing for children's interaction). 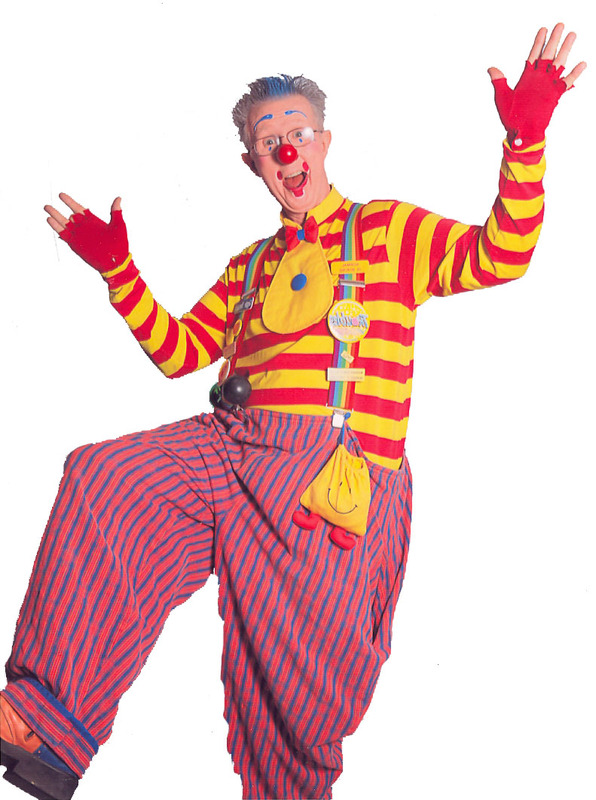 And my clown character is not of a loud nature. I never got the impression you were unhappy with services provided (Comedy Magic Show & balloon twisting), until this review (total shock). Baton Rouge Mid City Blues Mural Fun! We were fortunate to have Terry come to our event for a Mid City Blues Mural Unveiling. She was prompt and professional. Her work on the face painting was absolutely gorgeous! We will definitely be using their services again. As an event planner, I am always looking to work with dedicated, honest and professional people and that is what OOH AAH Productions exhibited. I was extremely pleased with Terry's entertainment at our fall festival. The kids loved them. It was truly a pleasure working with everyone and I would recommend OOH AAH Productions for anyone who is planning a special event. Great Job Terry! Look forward to working with you again! Insurance: $1,000,000 - This is a Comprehensive General Liability Insurance provided by an A-rated Insurance company with coverage of $1,000,000 per occurrence/$2,000,000 aggregate per event. 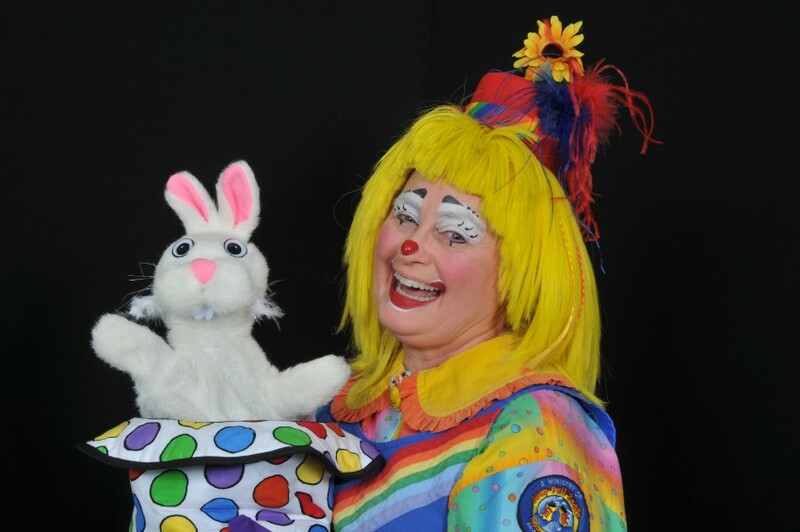 Expect to smile, giggle & laugh outloud as our clown characters perform. 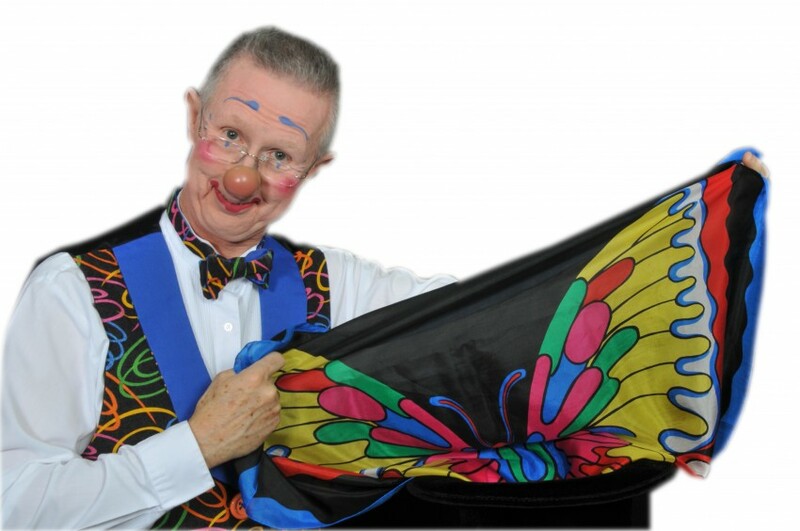 We can play with a group audience during a comedy magic show for young children (includes, laughter, illusions, fun audience participation & a Kodak moment at the end of the show as the birthday child assists with the last trick). Or we can play one-on-one as we balloon twist or face paint for each individual. Either way, your guests will remember having a joyeous time as we help to enhance your event. We also can draw customers to your business' Grand Opening, add fun to your company picnic or motivate children to participate in their school reading program with a Comedy Magic Show as their reward. So, use your imagination, envision on how we can help and call Terry at 933-1136 to book your FUN! Randy "Troubles" & Terry "Rainbow" McMaster have been clowning for 20 years. They have been bringing joy & laughter to thousands of people throughout the years through company picnics, birthday parties, school festivals & library incentive programs, restaurants, grand openings & more. Wherever they go there is fun, laughter & surprises for all ages. We have Set Packages that, depending on what package you choose, can include, balloon twist creations, face paint designs, comedy magic shows & more. We can also consult with you to create your own custom package. We encourage you to call us to tell us your vision for your event so we can give you a quote for the package that would best match your family entertainment needs. Call Terry at 225-933-1136. Present Inspiration: Leon "Santa Claus" McBryde, Randy Christensen & his many clown characters, Angel Contreras & his many clown characters his graphic arts, painting, drawing & caricatures, Brenda "Flower" Marshall & her other clown characters.